Ideal for sensitive skin. Its purity and quality make it safe for babies and every member of the family. 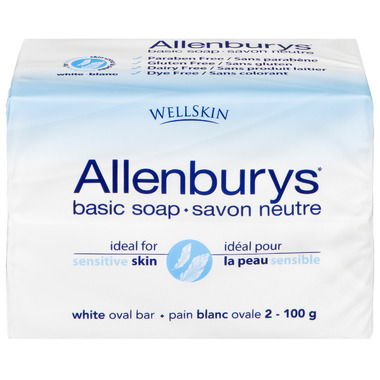 Allenburys Basic Soap contains just 12 basic ingredients and is ideal for sensitive skin. Allenburys is free of parabens, gluten, dairy and dyes and leave the skin feeling clean and fresh with no residue. Great soap! No feeling of stretched skin after taking my shower!